Would-be entrepreneurs are being given a TechStars-style opportunity to pursue their dreams and build a business, thanks to a new competition that kicks off in Singapore in January next year. The uniquely named Joyful Frog Digital Incubator, better know as JFDI, has joined forces with Innov8, the venture capital fund of Singaporean operator Singtel, to stage the JFDI-Innov8 Bootcamp 2012. As the first TechStars Network member in Southeast Asia, JFDI is bringing something unique to the region with Bootcamp, which aims to develop the business potential behind startups which bring something new to Southeast Asia, as the company explained to The Next Web. Bootcamp is an “intensive” 100-day program which will give 15 selected startups the chance to build a business, and all that goes with it, under the watchful eye of mentors that include some of Asia’s leading entrepreneurs. The finale will see the startups pitch their companies to a range of investors, from Asia and the rest of the world, in April. Held in Singapore from January 1, each Bootcamp entrant will be given $15,000 to kickstart their business. The organisation team will provide a working environment and Wi-Fi but, that aside, the groups are left to their own initiatives, which means that they will need to arrange and fund their accommodation, food and any other requirements. 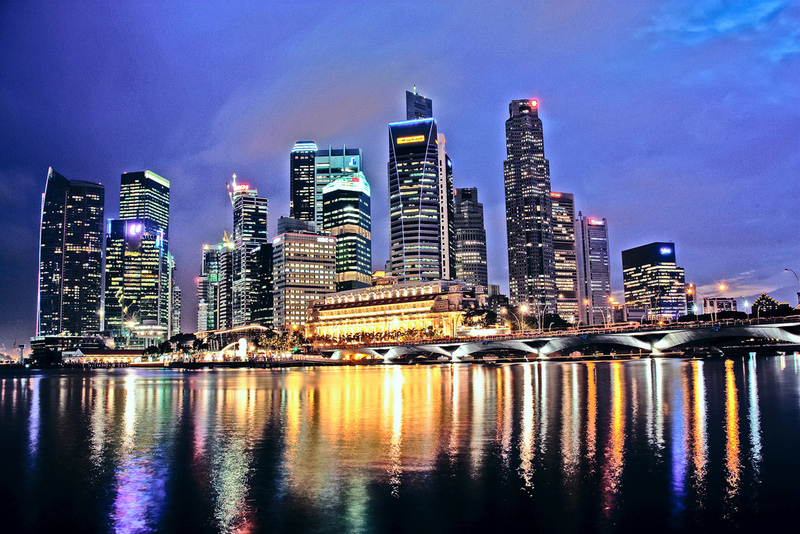 JFDI admits that they had received some feedback about just how far $15,000 would stretch in a city like Singapore, which was ranked the eighth most expensive one in the world by Mercier earlier this year. Aspiring entrepreneurs and startup founders are usually prepared to put some of their own money towards an idea that they believe in, a JFDI spokesperson told us, but the organisation fully expects that the funds will cover all the entrants in their quest to develop their businesses. There are two ways for startups to enter for the chance to win a spot at Bootcamp. Wannabe entrepreneurs can get in touch through the website (here) or apply to be an entrant at one of the Startup Weekend events being held at several venues across the Asia-Pacific region. There is some uncertainty around the event in Bangkok which, given the current flooding crisis in Thailand, JFDI admits may be rearranged for December, although it is currently set to proceed as planned. More details can be found in the video below, and our interview with JFDI CEO Hugh Mason comes after the jump. The Next Web caught up with Hugh Mason, CEO at JFDI, to get his thoughts on the project and Southeast’s startup scene in general. What is it that led JFDI to plan this activity for Asia? We were amazed that with so much talent in this region, all we seemed to hear about was digital technology from the US and Europe. It felt like all that talent and the many opportunities here were being ignored and that there was a real opportunity to bring folks together who might otherwise never meet and make something unique here. We knew the guys from TechStars who have created so much value in the US and we could see every reason that the approach they use would work here too. Why is it that so few western VCs and incubators are actively involved with the startup scene in Asia? Do you expect this to change anytime soon? Coming from Europe I guess it feels that ‘The Far East’ is still a long way away. Many people from the west have never visited here, or if they have they have only seen the typical tourist side of Asia. They don’t have the insight to understand the opportunities here and I guess it feels easier to look nearer to home. Early stage investors add the most value when they can meet regularly with their investees, because the real add they bring is experience and contacts, not just money, and that’s hard to deliver at a distance. One of the benefits of working within a recognised and successful structure like the TechStars network is that we can provide a way for investors from the other side of the world to get more engaged here. We do the work on the ground for them, helping to shine a spotlight on the strongest teams. Once we have put them in touch, then if the chemistry is right the relationship can take its own course. We’re already seeing relationships that we fostered in our pilot year making a real difference to companies across the region so we can only see more of these connections coming about. The program’s tagline is “in Asia, for Asia”—what proportion of entrants do you expect to be Asian? We would like as many as possible to come from Asia and to understand Asia. That’s why we are running a series of ‘Startup Weekend’ events around the region, with local partners wherever possible. A ‘dream team’ might combine people from East and West because that way you have people with connections and understanding in both markets, offering the chance to create something global. But our starting point is always to try to create applications and services that grow out of what’s special about Asia. Sometimes that distinctiveness will come from technology. For example, there are countries in Asia with far faster broadband to the home rolled out nationwide than in the West — like Korea and Singapore — so that’s an opportunity to create new kinds of services that will be ready for roll out to the West when it catches up. Of course the primary access device for the internet in Asia is mobile, not the laptops or desktop computers that are normal in the West, so our focus is on mobile. It’s one of the main reasons we were so keen to have SingTel Innov8, the corporate venture arm of SingTel, as a key partner. We are independent of SingTel, and there’s no obligation for the businesses we foster to work with them, but SingTel’s 416 million customers around the region are an obvious roll-out route for anyone with a mobile business and we have unique access to help make that happen. Our inspiration comes from products like the Nano car, which was made in Asia for Asia. It would never have been developed in the West but now that it exists, it influences car design worldwide. Likewise we would like to think that there are digital products we could develop that follow that same path. What has been your impression of the startups on display following the events in Singapore and Manila? We’ve been overwhelmed by the response! In Singapore we got four times as many people coming along to a Startup Weekend than has ever happened before. Anyone who believes the old myth that ‘Asians don’t create – they just copy should have been there for the ideas sessions at our Startup Weekends. Over 180 ideas were pitched in just a few hours and many of them were highly original. Manila was a special occasion because a Startup Weekend had never been staged there before. We have to give all the credit there to our local partners, who did an amazing job setting it up. As in Singapore, venue constraints meant that we had to cap the events at 250 people but we could have taken many more if we had the space. We know that because there were over 13,000 unique visitors to the Startup Weekend Manila website and we had to turn people away at the door. Our next stop is Melbourne, where a great crowd is already gathering then we go to Delhi, Jakarta and Bangkok. To have so much enthusiasm and energy is truly inspiring. People want to try out their ideas and they want to meet other people who might partner with them. It’s great to see new friendships forming every minute! The way the weekends have reached out over social media is great too – several times we’ve had established senior people locally spot all the activity on Twitter and come in to offer their services as a mentor for free. From the CEO of SingTel group to world-class SEO experts and coders, first-time entrepreneurs have got to meet people they would never normally reach. It feels like everyone gets caught up in the energy of these events. Of course, not everyone who comes along to a Startup Weekend wants to open a business right now but many have told us that the experience has made them think seriously about it for the future. It’s extraordinary what some teams have achieved – pulling together tens of thousands of lines of code in a weekend to create real working multitouch applications with both client and server software working from scratch in 54 hours. That’s what we are really looking for – people who don’t just have great ideas but who can show results. What message do you have for startups in the region that have not yet signed up to be part of the weekend events across Asia? We would love to meet you, this is just the beginning and if there isn’t space at the event near you, or one is not happening in your country, let’s set one up for the future. Please get in touch. If we can’t meet you face to face, please reach out to us on email or find us on Facebook. Let’s connect and do something together. Apart from this program, what else is JFDI doing to help and encourage startups in Asia? In the background we have been pulling together the networks of investors and mentors that already exist across Asia to see how we can achieve more by joining forces. Wherever possible we are trying to connect people and not to duplicate what already exists. More than anything we see an important role for us being to celebrate the many untold success stories and the real evidence of potential that’s out there. In the coming months we want to try and bring together media channels to shout the news that Asia is innovating online, local people are changing the lives of millions for the better and making millions too. It’s a great time to be in Asia – this is where the future is happening and we want to help people in Asia to make the most of that opportunity. Hugh is certainly no stranger to innovation, having worked as a producer for the BBC’s science and technology show Tomorrow’s World, and through JFDI he is bringing a chance for Asia’s startups to have an influence on tomorrow’s world in Asia too.